away from the real meaning of Christmas. If we want to have a Christmas that is devoted to worshiping the Son of God, then we are going to have to fight for it. Who is with me? 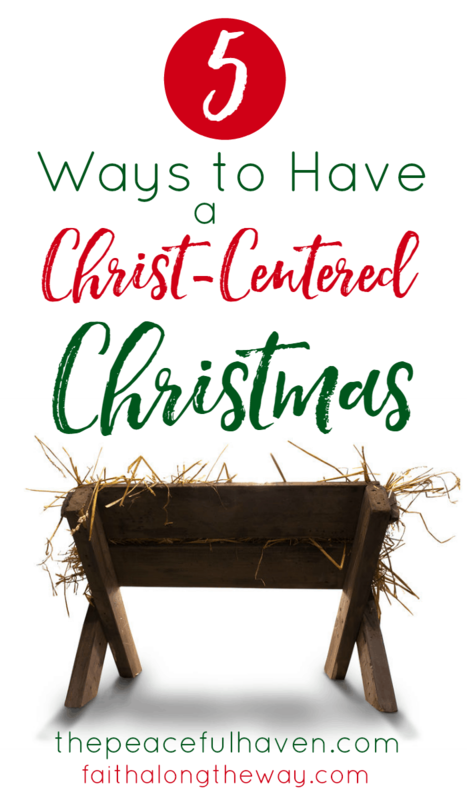 As a mother of six children, most of whom are now adults, I have formulated a few tips that have helped my family celebrate Christmas with our focus on Jesus Christ. It is, after all, His birthday that we celebrate. Ok, I know this is my most controversial principle so I may as well get it out of the way first. For the record, I love the story of Santa and in our family, we do know and enjoy the story! We watch The Polar Express every year and even love Rudolph! While we treasure the story of Kris Kringle and learning about the true story of Saint Nicholas, we DON’T do these things at Christmas. Instead, we look at Santa as an American folk tale that is an absolutely wonderful story. After the Christmas season is over, we turn to his tale for Wintertime fun. Our goal is to eliminate anything that is in competition with Jesus. The church we attend does not celebrate the Advent Season corporately but we do as a family. Celebrating Advent keeps the focus on Christ. Every day is a countdown and brings us closer to the birth of Christ! 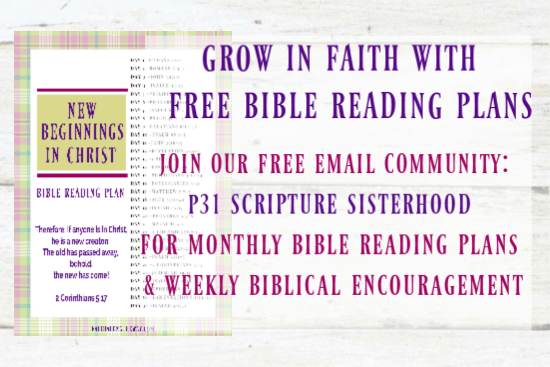 Pick a devotional, Advent Wreath and Advent Calendar to add meaning to the Christmas Season. 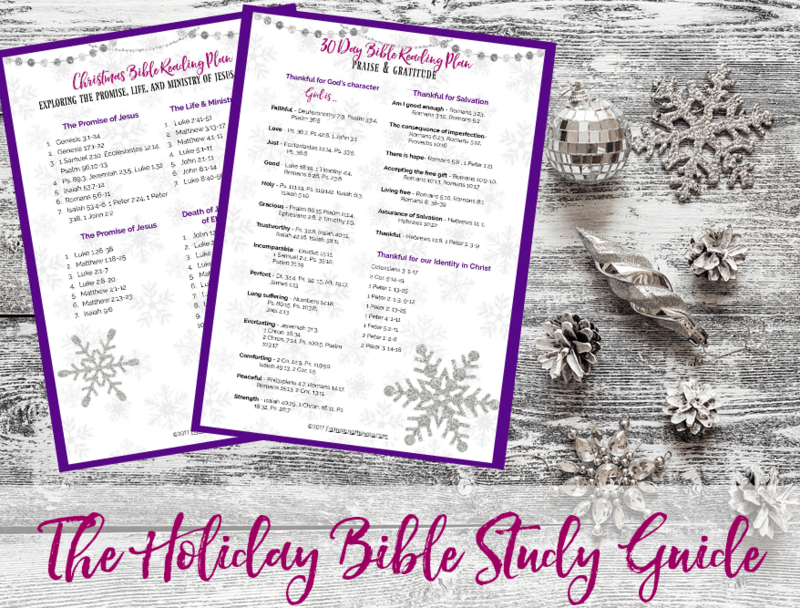 The FREE Holiday Bible Study Guide will help you keep your heart focused on Christ this Christmas with manageable Bible readings. Read it aloud as a family and watch the kids explore the life of Jesus and His true purpose here on Earth. We have many Nativity Scenes or as some refer to as Creches decorating the inside of our home and I have been saving my pennies for many years for an outdoor one. When my children were young, they enjoyed hours of fun playing with the Nativity and reenacting the Biblical account of the Birth of our Savior. Now, they love to set them up and we have one in almost every room of our home, some from different places around the world. If your set is breakable, purchase a nativity just for the kids. I recommend a set made from olive wood which is very sturdy or the Fischer Price Nativity which will last forever! Birthday to Jesus on Christmas Day. The family will love this special tradition! over 26 years of these cards in the box under our tree. We all enjoy looking through and reading our gifts to Jesus from the previous years. CHALLENGE: Take a critical look at your Christmas traditions. Pray about which ones to keep and which ones to get rid of. 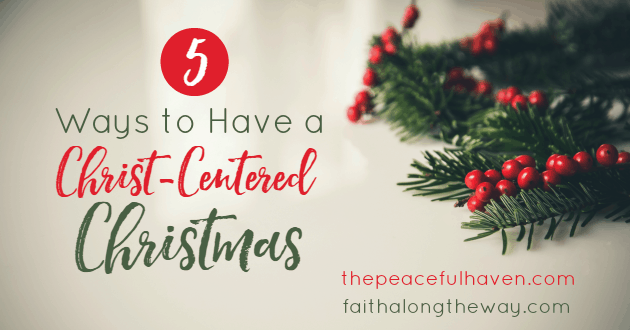 Make Christ the center of your Christmas this year! YOUR TURN… What Christ-Centered Christmas traditions does your family have? 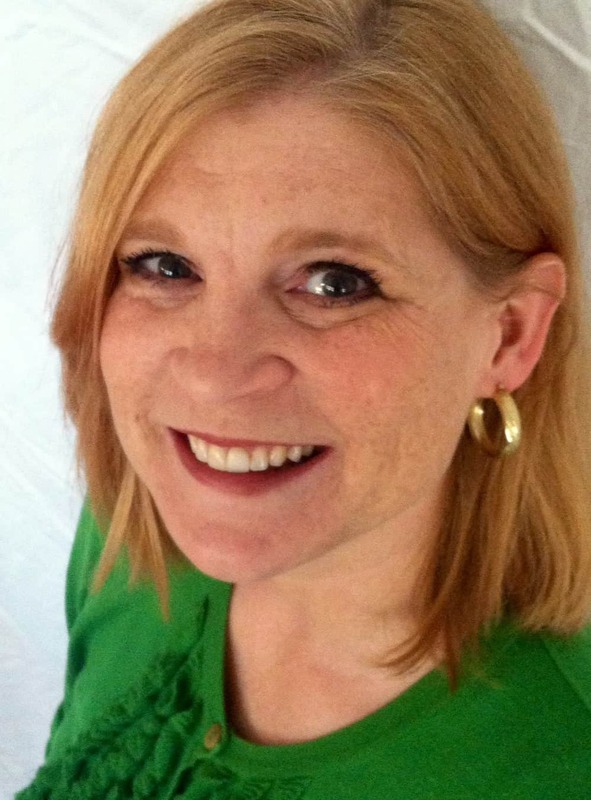 Janelle is the grateful wife of Michael, homeschooling mother of six amazing children and author of the book Chosen: One Family’s Journey With Autism Please join her at The Peaceful Haven, where you will find inspiration for your home, family and faith! Great ideas….will share them on my radio programme! Thank you! Thank you! I agree with all your suggestions. and am glad you mentioned the santa topic even though it is controversial. Christmas is about Jesus. He is the reason why we celebrate. I always love your blog.